Menorca’s Equestrian Culture in Ciutadella. There’s more to Menorca than picturesque island terrain and blazing sun: the island boasts an ancient tradition of horsemanship. Home to the famous Cavall Menorqui breed of horse and the associated school of riding, there’s plenty on the island for both fans of and practitioners in equestrian sports. Cavall Menorqui, or the Menorquin horse, is the breed that features in the island’s festivals and is highly sought after for its appearance, build, agility and temperament. The breed is required to be entirely, or almost entirely, black, and the fact that it has only ever been bred for riding and never used on a large scale for agricultural work has left it long in the limb, streamlined and beautiful. Don’t be fooled by its elegant appearance, however; the Menorquin horse is a very strong and athletic breed. The horse has a calm, pleasant temperament – a testament to its traditional occupation of dressage (see Doma Menorquina, below). This makes it an easy beast to get along with, and experienced and new riders alike will enjoy bonding with the horse. It is, however, also valued for its vivacity, so don’t expect a sedentary animal. Doma Menorquina is a school of riding unique to Menorca. It originated from classical dressage, so those experienced in that sport will already be off to a good start, but it also incorporates elements of Doma Vaquera. Those wanting to see it in action should consider visiting Menorca at the time of one of the island’s festivals, in which Doma Menorquina often plays a crucial role. The Feast of Saint John famously features horseback displays, and is a major event in the island’s calendar. If you’d like to spend some time riding while you’re on the island, you’ll find a good many stables where you’ll be able to mount the cavall Menorqui. Ciutadella is a perfect place to go searching for stables, but if you find yourself elsewhere on Menorca then you’ll also be able to find them in Mahón and Ferreries. The island’s beautifully rugged terrain and clear air make it a perfect place to explore on horseback. If you’d like to see some local equestrian events, look into festivals as mentioned above, or visit the Ciutadella hippodrome. The hippodrome regularly runs trotting races, where local riders compete. 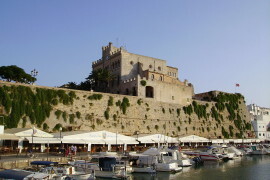 Ciutadella is served by Menorca Airport. 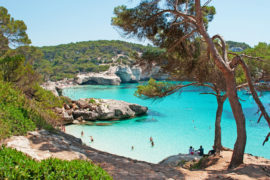 Flights are available from London (and indeed many international airports) to Menorca, with direct flights from London taking approximately two and a half hours with either easyJet or Monarch. 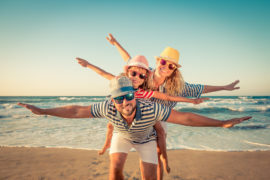 Booking a Menorca transfer from the airport is the best way to ensure a smooth start to your holiday. If you rent a car, take the Me-1. Total driving time is about 50 minutes. Unfortunately, there are no public transport options to reach Ciutadella, as Menorca is a very small island. Cala Bona y Mar Blava – Those seeking low cost accommodation in Ciutadella are recommended to try the Cala Bona. 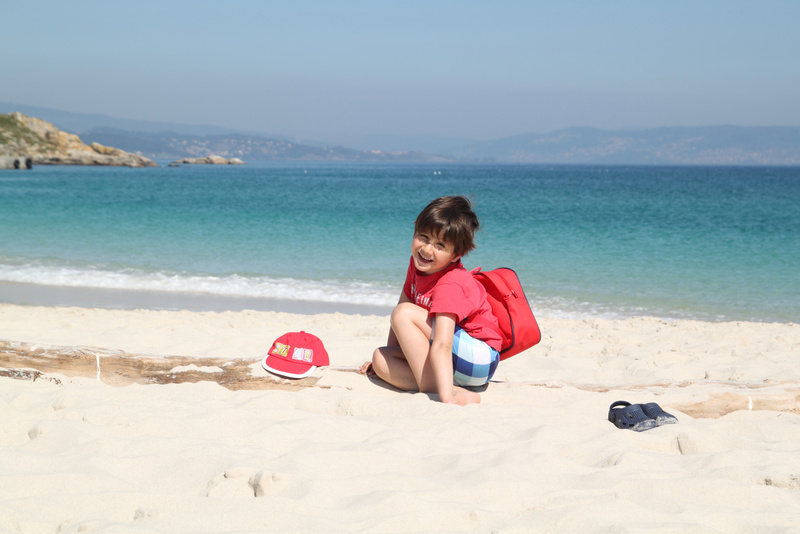 The hotel is simple and comfy, and is only a few minutes away from a quiet, idyllic beach. Hotel Menorca Patricia – Slick and contemporary, the Patricia’s coastal location and competitive rates make it an excellent choice. Hotel Can Faustino – The Can Faustino blends local ambience, top notch service and a four hundred-year-old original building to become our pick of the area’s luxury accommodation. Try the atmospheric, cavernous indoor pool while you’re there! Header image: “Puerto de Ciudadela“. Licensed under CC BY-SA 3.0 via Wikimedia Commons.